Are you someone that has always had a favourite colour? Something that stuck with you from your childhood years? Whether it be a candy coloured pink, ruby red or even brilliant blue! A creative and colourful kitchen can be within reach in your modern home! The old rules of sticking to what is neutral and simple no longer apply, as more and more people are gravitating to creating a personalised living space! Today on homify we look at great ways of incorporating your personal style choice into your kitchen by means of your favourite colour! This can be done through your choice of appliances, walls, cabinets and even furniture. 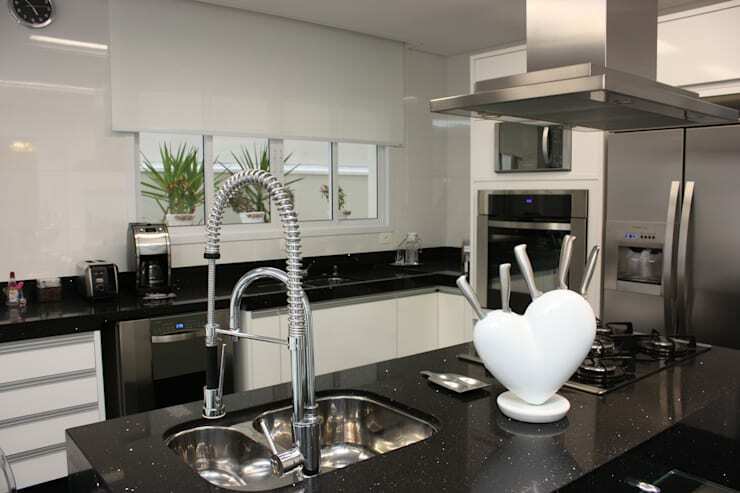 So if you are looking at updating your home, let's start with that place we all love… the kitchen! We begin our kitchen revamp Ideabook today with a look at how best to update your kitchen with colour. The choice of appliances and their colour can strongly affect the kitchen style and colours you would like to include in your home. This image shows a simple option of black and chrome, while the kitchen might not be totally out of this world, there is a sense of vibrancy added through the patterned rug on the floor. This creates a classic yet retro chic kitchen that can remain trendy for years to come! 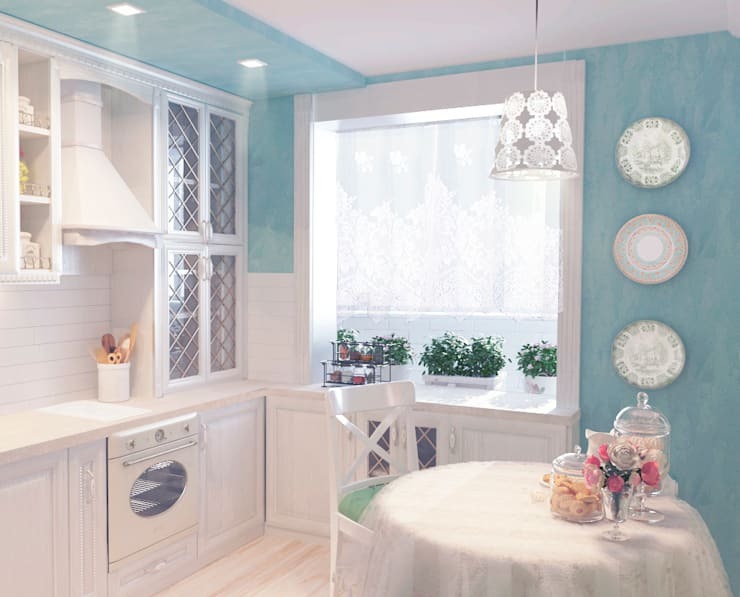 We love this whimsical affect created by the sky blue walls in this kitchen! The design is reminiscent of something from a bygone era! Although the blue walls would not be that common in any home, it has a calming country cottage like ambiance. The all-white rustic fixtures and fittings completes the attractive design that is charming and adorable! What a great way to add colour into your home! This idea has an air of nostalgia about it, don't you think? But that doesn't make it any less fabulous in the modern day sense! Well seeing as though the sky is the limit with kitchen design now, how about this simple idea… a colour scheme that works really well without being overdone. It's dark and light wood combined to create a kitchen of style and elegance. It's wonderful that the colour combination that is imaginative and simple, but not necessarily minimalist by the team at FingerHaus GmbH. This stylish idea works perfectly in modern kitchens and has a pleasant yet open quality about it. It's a great choice if you aren't too sure which colour to include in your home kitchen, so this is really the best of both worlds! 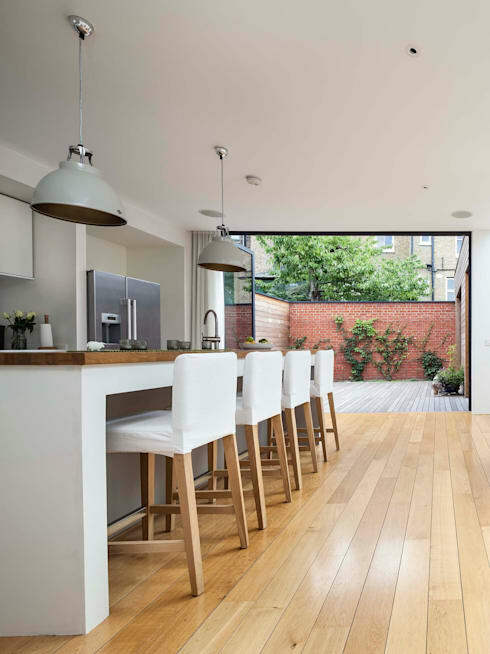 There are so many different flooring options to choose from in your modern kitchen. 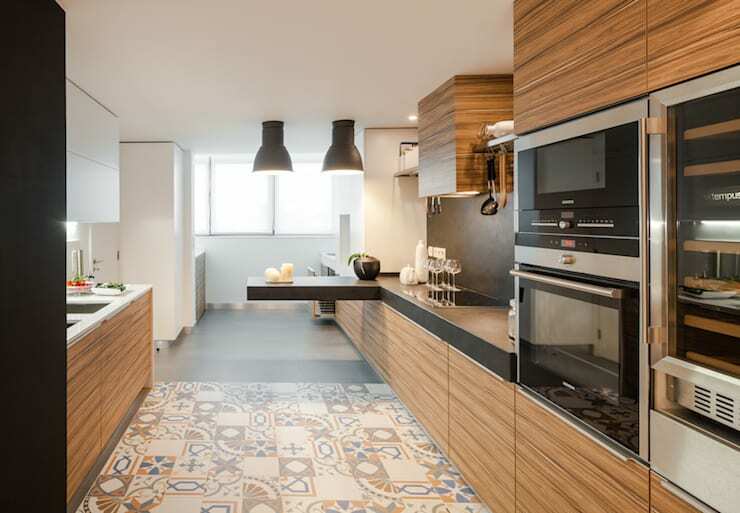 Tiled or wooden flooring, how about laminated or even concrete for that industrial feeling? It all depends on your kitchen style, whether it be rustic or minimalist, modern or country there is a great flooring option out there for you! A wooden floor may seem like the safest option in terms of quality, style and longevity and if properly cared for and maintained, your floors will look fabulous even ten years later! It's best to think which types of flooring will suit your home and go with your gut on this one. A comfortable kitchen is within reach! Next up, we have a look at everyone's favourite kitchen topic… the cabinets! All-white kitchen cabinets are a timeless option, an idea that can look fabulous today and even a few years down the line! This is a great kitchen colour for the minimalist kitchen, but will also make a fantastic designer option for a small kitchen. This kitchen example mixed with neutral tones of light wood and all-white walls for that added sophistication! It's a great place to sit back and relax with a newspaper and coffee or even cook up a storm… the choice is yours! But classic is classy in our books! We have reached the end of our Ideabook today, but before we finish up, how about adding a splash of colour to your kitchen with a fantastic blind or curtain option. This will ensure that privacy is maintained in your home from prying eyes and that natural sunlight is allowed in when necessary. Your blinds or curtains can add just that extra colourful style to your kitchen that you have been looking for all along! 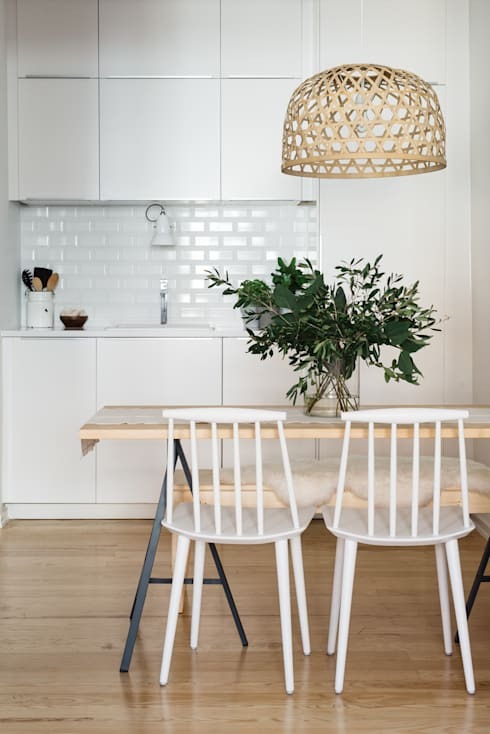 So whether you wanted that all-white blinds or something with a bit of a pattern, you can create an elegant and stylish kitchen with these simple colour scheme hacks from homify! If you are looking at Adding modern spice to kitchen walls then have a look at this Ideabook too! Do you have a vibrant kitchen colour? What have you chosen to accent your personal style?